Creosote is a highly combustible liquid that condenses onto the inner walls of connector pipes and chimneys as wood smoke cools. When this liquid dries, it gradually hardens, taking one of three forms: Stage 1 (velvet soot), Stage 2 (porous and crunchy) or, in the worst cases, Stage 3, glaze. Glaze is formed when fresh layers of creosote accumulate so rapidly that the previous layers don’t dry completely. The freshly formed layers then insulate the partially-hardened previous deposits from the heat of the wood exhaust that dries them, resulting in a heavy buildup of sticky goo, which eventually solidifies, creating the rocklike substance known as glaze. 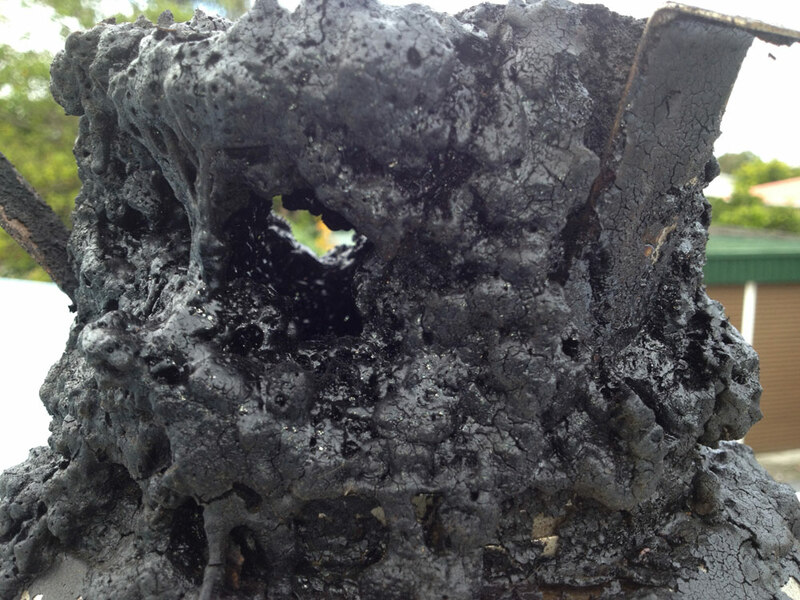 The excessive creosote accumulation that leads to glaze formation is usually caused by the improper burning or venting of airtight wood stoves. Specifically, glaze will often form when the chimney is larger than the vent opening on the appliance, when unseasoned or wet fuelwood is burned, or when the draft control on an airtight appliance is habitually set too low, causing the fire to smolder. Glaze is denser and harder than brick, and sticks to the chimney like glue. 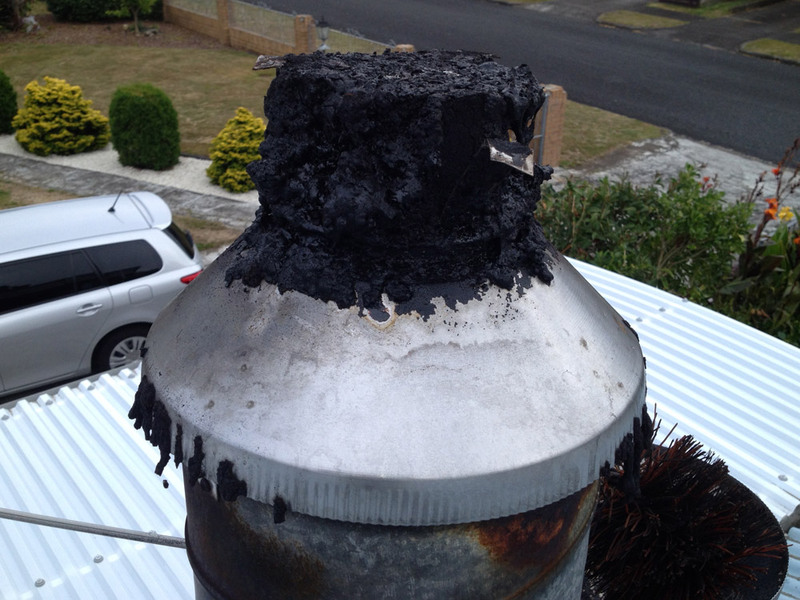 Chimney brushes won’t cut it, and any blow strong enough to break the glaze could damage the chimney structure as well. Contact The Fireplace Technician today to talk to us about Glazed Creosote Removal today.